A Birthday Bash Like No Other! With all this snow, it’s easy to forget what we’re still living in this area for. Then something comes around like the Electro Swing Birthday Bash and it becomes clear once more! Join us for our big birthday bash on February 28th when The Desultory Theatre Club celebrates 4 years of bringing the best entertainment to the area! Put on your glad rags and get ready to dance the night away! DJ zErp will be there, spinning the hippest Electro Swing on the East Coast! Preston Parish‘s duo, Milltown Swing, will provide the jazz! 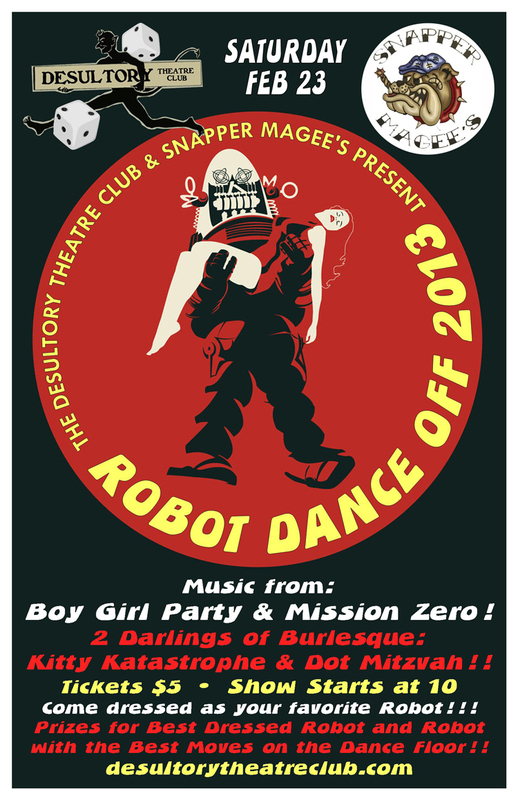 And don’t forget Dot Mitzvah and Kitty Katastrophe–the best in burlesque to be found all around! Tickets are $10 at the door–21 and over only. No Gifts Needed… Just Bring Your Bad Self. Celebrate 4 Years with Us at the Electro Swing Birthday Bash! Get ready to get back on that dance floor… It’s The Desultory Theatre Club‘s “Electro Swing Birthday Bash”!! Join up with the club to celebrate with us as we pass 4 years of age and march right into our 5th exciting year!! Break out those dancing shoes and come check out our venue for the evening, Bachi’s, and their super-cool 2nd floor nightclub. Live Jazz from Preston Parish‘s Duo, Milltown Swing! The best in Burlesque! CT’s own Dot Mitzvah “The Juicest Jewess this side of the Wailing Wall”! and Kitty Katastrophe “Elm City’s Nudie Cutie”! And the spinning styles of DJ to the stars… DJ Zerp!! He’ll make sure you’re hit with some of the hottest, coolest, and hippest Electro Swing on the East coast!! And that, my friends, makes quite the party! THE (sneak a) PEEK SHOW!! Are you coming to this most awesome event?!? What will we think of next?!? Black Friday BritPop & Burlesque! Don’t let the holiday doldrums bring you down! Come on out and shake it shake it shake it!!!!! The Desultory Theatre Club is teaming up with Brazen Betties & The Scenesmith to bring you…BLACK FRIDAY BRIT POP & BURLESQUE!!! Kitty Katastrophe! Dot Mitzvah! Harley Foxx! Mistress Leona Star! Followed by an evening of the hippest BritPop guaranteed to make you shake and dance the night away! HOW MUCH? $5 cover at the Door or $15 VIP tickets. VIP tickets are available for pre-sale at Brazen Betties, 95 Main St, Torrington, CT. Tickets come with special VIP seating right up in front for the show (standing room only for everyone else) and a very Groovy Goody Bag; includes your door cover! A unique event like this should not be missed! So lock this night away and come join the fun! 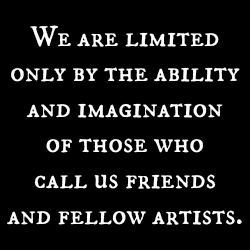 Support your Local Arts Scene and Artists! Big thanks to our event sponsor PABST BLUE RIBBON!! !